During an evening of october 1974, Doctor Daniel Billaud and his Japanese wife Yusen met the person who was going to become their Master, Aoki Yuko Sensei, and who was going to initiate them to Shingon, the esoteric branch of the Japanese Buddhism. After having met him, they went to Japan to follow his teaching and achieve the great Shingon asceticism. Komyo-In, le temple de la lumière. 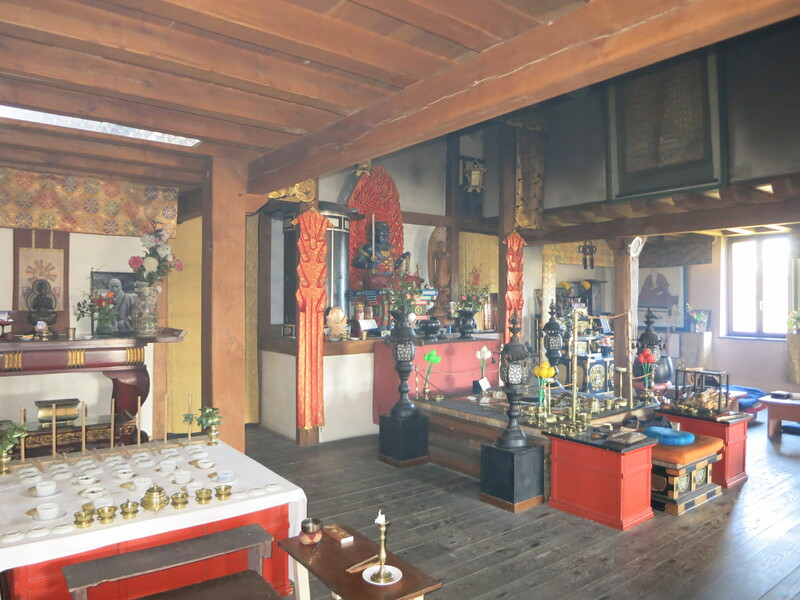 The Honzon (main deity) of the temple is Fudoo Myoo (Achalanatha). In front of him, there is a fire altar, where the officiating priest makes the Goma rituals. In this ritual, pieces of wood on which the participants write their wishes are burnt, while special mantras are chanted. This spiritual practice develops a lot of energy, purifies the negative karma, and cuts us loose from our attachments. It also gives people necessary strength and goodwill to overcome the obstacles and succeed in our lives ! Gomas happen everyday at Komyo-in, and a collective practice takes place every first sunday of each month. 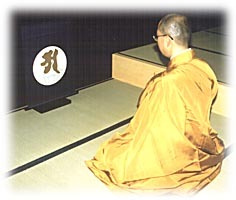 Ajikan is the heart of the Shingon meditation. One is sitting in front of a big white full moon, and quells his spirit by identifying to the moon, by regulating our breath on the sound A and by enlarging it so as to embrace the universe. A in sanskrit symbolizes the Mahavairocana Buddha. Gatchirinkan is practised by concentrating on the image of a small white moon measuring about 38 cm of diameter, painted on a black background. A stable position is needed, a slow and deep breathing enables to purify one’s heart little by little, whilst getting into consciousness of the luminosity of one’s own spirit.